Electric shavers and razors are a popular choice among both men and women for their ability to quickly and easily remove hair, and provide an incredibly close shave with very little effort. Traditional razors with blades can be irritating for those with sensitive skin, while electric shavers and razors provide a more gentle hair removal experience. Finding the best electric shaver and razor for your needs means reading reviews, studying product features, and diving into the ins and outs of available attachments and configurations. With the right electric shaver and razor, this loathsome chore can become a quick, over-and-done with task. We reviewed dozens of electric shavers and razors to identify the best of the best, based on Amazon reviews, how well they performed in tests, cost, and other considerations. We narrowed our search down to 5 of the top-rated electric shavers and razors both men and women can purchase to ensure a seamless grooming routine. An intelligent razor that automatically adjusts for maximum closeness and comfort. We’ve identified Braun Series 7 Men’s Electric Foil Shaver as the best electric shaver and razor out there. With the ability to shave both wet and dry, this electric shaver and razor is one that will keep your entire body in perfectly groomed condition. These benefits allow you to more quickly and easily remove facial and body hair with ease, for a more streamlined personal grooming routine. The Braun Series 7 Men’s Electric Foil Shaver took the top spot on our lists of the best electric shavers and razors for its ability to shave both wet and dry, and the fact that it can be used on both facial and body hair. This sort of versatility makes the Braun Series 7 solid investment for those looking for an all-in-one personal hair removal solution. The razor features a unique system that can automatically sense how long hair is, and adjusts cutting power accordingly. Combined with its eight-directional flexible shaving head, it easily adjusts to the contours of the face and body for a closer shave. Those who purchased and reviewed this electric shaver and razor appreciated that it could handle even the roughest of beard hair, and was gentle enough for use with sensitive skin. People commented that the self-cleaning feature works quite well. At a cost of approximately $180, it certainly doesn’t come cheap, but the quality craftsmanship associated with the brand, as well as the ease of setup and use more than justifies that price. It has a rating of 4.2 on Amazon with more than 10,000 people reviewing it, which we think goes a long way in convincing people to make the investment. Plenty of features make this compact pick a smart buy. 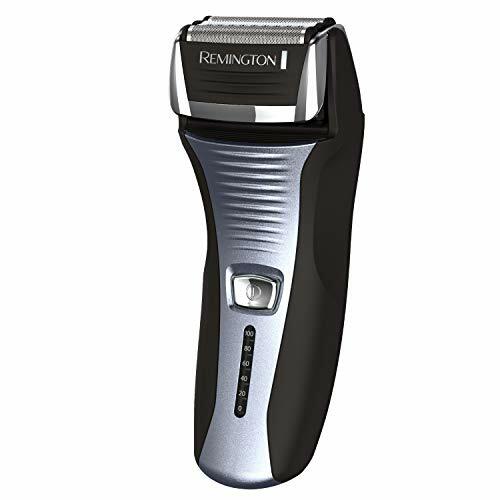 The Remington F5-5800 Foil Shaver took the runner-up spot on our list of the best electric shavers and razors. It offers a decent level of performance and consistency for a foil style razor, at a much more affordable price point than our top pick. It features a contoured handle for easier gripping and maneuvering into tight places, but can only be used for dry shaving. Those who purchased and reviewed this electric shaver and razor appreciated that it includes a popup trimmer for closely trimming the mustache or sideburns, and that it is compact and lightweight enough for use while traveling. At a cost of about $38, it’s still a bit of an investment compared to bladed razors, but it is much more affordable than our top pick. That said, we believe the quality craftsmanship associated with the brand, as well as the ease of setup and use more than justifies that price. It has a rating of 4.0 on Amazon with more than 3,300 people reviewing it, which we think goes a long way in convincing people to make the investment. 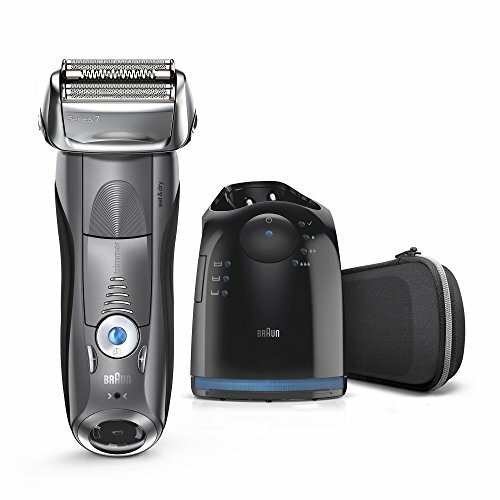 The Philips Norelco Multi Groomer is the best electric shaver for those who are shopping for an electric shaver that won’t break the bank. This 13-piece set includes a variety of blade covers in varying lengths for getting a perfectly coiffed appearance with less time and effort. It even includes a precision trimmer and nose and ear trimmer attachment. The steel blades sharpen as they cut, and can be removed for convenient cleaning between uses. Those who purchased and reviewed this electric shaver and razor appreciated that the blades didn’t require oiling, and were impressed with the variety of included guards. Many commented on the sturdiness and comfort of the handle, and liked the compact, lightweight design. With a price point of around $15, this electric shaver and razor is a solid choice for those looking for an electric shaver and razor option on a budget. It has a rating of 4.0 on Amazon with more than 5,600 people reviewing it, which we think goes a long way in convincing people that this budget-friendly pick is just as good at removing hair as its more expensive counterparts. A cordless, wet/dry option for all her curves. 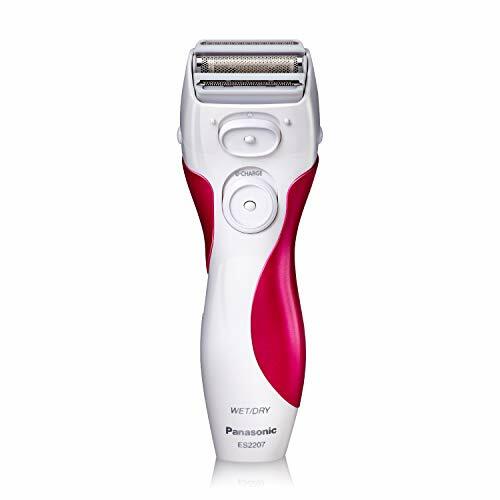 The Panasonic Close Curves Electronic Shaver is the best electric shaver designed specifically for women, and offers the convenience of being able to shave both wet and dry. It uses high-quality, hypoallergenic stainless-steel blades and foils that are gentle enough for use by those with sensitive skin. Three independently floating flexible pivoting heads prevent cuts on her curves, while the built-in pop-up trimmer makes it easy to shave those hard-to-reach areas. Those who purchased and reviewed this electric shaver and razor appreciated that it offered a close shave, and was easy to clean. The 12 hour charging time for just 20 minutes of battery life was the biggest complaint about this razor, but most people found it to be adequate for their needs. With a cost of about $18, it’s actually pretty affordable as far as razors of any kind go, and the quality craftsmanship associated with the brand, as well as the ease of setup and use more than justifies that price. It has a rating of 4.0 on Amazon with nearly 7,700 people reviewing it, which we think goes a long way in convincing women to make the investment. A 23-piece set that comes with its own storage bag. The Philips Norelco Multigroom 7000 Face Styler and Grooming Kit is the best electric shaver designed specifically for men, and uses a powerful lithium-ion battery that provides up to 5 hours of runtime on a single charge. 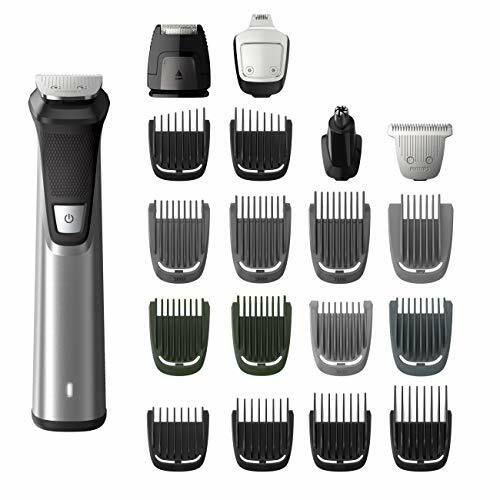 This 23-piece set includes a variety of blade covers in varying lengths, along with a foil shaver and nose hair trimmer for achieving a perfectly coiffed appearance with less time and effort. The included storage bag makes keeping everything together a cinch. Those who purchased and reviewed this electric shaver and razor appreciated that the blades were sharp enough to tackle thick hair, but gentle enough for sensitive body areas. Some people wished guards could be purchased in additional lengths, but overall this set includes a nice variety of lengths for styling. With a price point of around $50, it doesn’t come cheap, but it isn’t outrageously expensive either, considering the longevity it offers. The quality craftsmanship associated with the brand, as well as the ease of setup and use more than justifies that price. It has a rating of 4.6 on Amazon with more than 650 people reviewing it, which we think goes a long way in convincing men to make the investment. An electric shaver or electric razor is an ideal choice for those who have very little time to devote to shaving, as it can be used “dry” or without lathering up. Traditional shaving requires wetting the area to be shaved, applying shave foam or gel, and then slowly and carefully removing the hair in strips. This can be an annoying and time consuming process, and doesn’t always provide the closest shave. In fact, some people find that they get a better shave when dry shaving versus a traditional lathering method. Electric shavers and razors also make shaving convenient thanks to their portability. The ability to shave nearly anywhere at any time makes electric shavers and razors a popular choice with both men and women. You can also move an electric razor in any direction, which makes removing hair from tricky areas much easier. An electric shaver or razor is also a good choice for people who have sensitive skin. Although an electric shaver or razor can still cause razor burn, they are much less likely to cut small bumps like zits or moles, compared to a bladed razor. Many people find that with a high quality rotary electric razor, their sensitive skin no longer reacts (or reacts much less) to shaving. Foil vs. rotary. The first thing to consider when choosing an electric shaver or razor is what style you prefer. There are two main types of electric shavers and razors, foil and rotary. A foil shaver works in an oscillating manner, and is used in an up and down motion along the area to be shaved. A rotary head shaver works like a weed whacker, spinning very quickly, and is used in a circular motion over the area to be shaved. Foil shavers are better for men with short, thin hair, as well as those with sensitive skin. Rotary shavers are better suited for men with tougher skin, and longer or coarser hair, who don’t necessarily want to shave every day. Keep in mind that you’ll need to replace the cutting head every 12-18 months or so, which makes factoring the cost of replacement heads an important consideration. Wet/dry. Some electric shavers and razors can only be used to shave “wet” – with water or shave cream – while others can only be used “dry” – without shave cream. There are some models that do both, so keep that in mind when shopping for an electric shaver and razor. If you use shave cream, you might also want a good handheld shower head to thoroughly rinse your freshly-shaved skin in the shower. Cleaning. You’ll need to clean your electric shaver or razor after each use, so opt for models with their own cleaning station, or, that are at the very least easy to clean. Battery life. The majority of electric shavers and razors use rechargeable batteries, and so battery life is another important consideration. Look for models with at least 30 minutes runtime, and a short charge time. Price point. Finally, consider how much you are willing to spend on an electric shaver and razor. Electric shavers and razors vary in price from $20-$200 or more. Keep an eye out for manufacturer coupons that can make buying an electric shaver and razor more affordable. What is an electric shaver and how does it work? An electric shaver uses a small DC motor, which is either powered by batteries (often rechargeable) or a wall outlet in order to power cutting mechanisms that shave off hair. There are two main types of electric shavers, foil and rotary. A foil shaver works in an oscillating manner, and is used in an up and down motion along the area to be shaved. A rotary head shaver works like a weed whacker, spinning very quickly, and is used in a circular motion over the area to be shaved. One of the biggest benefits of an electric razor is that you don’t have to use shaving cream with it. Electric razors are designed to be used for what is called “dry” shaving, or shaving without the use of shaving cream. This makes shaving a less expensive and time consuming activity. That said, there are some models on the market that can be used for “wet” shaving, which is when you use shaving cream. Always read and follow the manufacturer recommendations for whether you can use shaving cream with your electric razor. How do you get a close shave with an electric razor? Getting a close shave with an electric razor is easy with a few simple steps. First, ensure your razor is fully charged, and don’t wash your face beforehand as this can cause slight swelling that makes it more difficult to get a close shave. Trim any long stubble, then, stretch the skin with one hand before shaving any extra sensitive areas or areas that need a closer shave, in order to help ensure a smooth glide across the skin. Hold the shaver at a 90-degree angle to the skin, and shave against the direction of hair growth, keeping the pressure even. A good free-standing makeup mirror can help you see what you’re doing to get the perfect shave. When finished, ensure you clean your electric razor well, as this will also help to ensure a smooth, close shave. Cutting parts should be replaced every 12-18 months or so in order to ensure the best shave. The experts note that it might take up to a month for your skin to adjust to the new method of shaving if you’re used to traditional bladed razors and are making the switch to an electric razor. How do you prep for using an electric razor? There isn’t much you need to do to prep for using an electric razor. While showering before shaving with an electric razor can help to soften the hair, it can also cause skin to swell slightly, which can cause irritation. Ensure your skin is completely dry before shaving if your electric razor is not suitable for wet shaving. Alcohol, talc powder, and specially-formulated pre-shave lotion are all helpful for drying the skin and getting facial hair to lift up for a better shave. We looked at 20 other electric shavers and razors. Even though they didn’t make our 5 best electric shavers and razors list, they’re the best of the rest and each is still a great option for trimming and removing hair. The information you’ll need to compare each one is included with the listing. This electric shaver for women has been specially designed to remove hair from legs, and uses a hypoallergenic foil system to protect sensitive areas from nicks and cuts. This electric shaver for women has been specially designed to remove hair from the facial area, and comes complete with a pivoting head and eyebrow trimmer attachments. This electric shaver for women is available in packages with or without refills, and features a dual blade design that allows you to groom all areas of the body with ease. This electric shaver for women removes more hair in fewer strokes thanks to its wide epilator head, and can be used both wet and dry for added versatility. This electric shaver for women uses a combination of hypoallergenic blades under protective foils to help provide a close shave that is suitable for use by those with sensitive skin. This men’s electric razor is suitable for use on both hair and body, and with any length of hair. It can be used both wet and dry for added convenience. 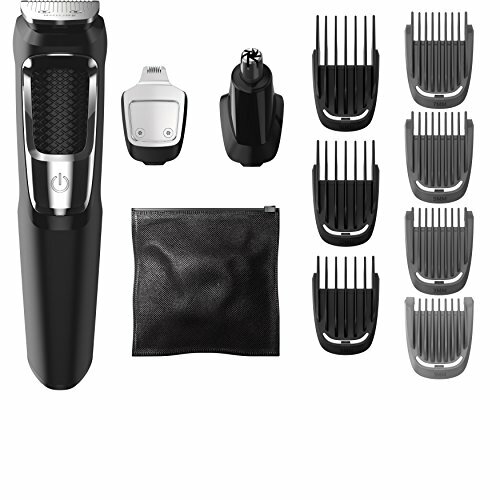 This men’s electric shaver kit comes complete with a full-size trimmer; nose, ear, and detail trimmer; detail shaver; 8-length hair clipper comb; and three snap-on beard and stubble combs. This men’s electric shaver boasts a unique technology which catches and feeds more hair than other razors for a faster shave experience, and can be used either wet or dry. This men’s electric shaver boasts a rotary head design and uses USB charging, making it an ideal choice for those who travel a lot. This men’s electric shaver boasts five ultra-sharp precision-honed blades and ultra-thin Arc foil which follow the contours of your face for a quicker, closer and more comfortable shave. This men’s electric shaver boasts an unique shaving technology which pre-trims longer hairs for a smoother, closer shave. It is fully charged in just 2 hours, and features an LED battery gauge. This men’s electric shaver boasts a rotary head design and is suitable for shaving both long and short hair with ease. It can be used both wet and dry for added convenience. This men’s electric shaver provides up to 90-minutes of runtime off a single 60-minute charge, and boasts a waterproof design which makes it ideal for complete body grooming. This men’s electric shaver boasts a professional design that uses a hypoallergenic gold foil to provide those with even the most sensitive skin a shave free of razor bumps, ingrown hairs, or skin irritation. This men’s electric shaver boasts a wide floating foil design to provide a close comfortable shave, and easily washes clean under running water for added convenience. This 4-in-1 nose hair trimmer set allows you to easily trim unwanted nose, ear, eyebrow, neck, or sideburn hair without irritating skin. This nose hair trimmer boasts heavy duty steel construction for added longevity, and features a waterproof design. The integrated bright LED light helps you more easily see those hard to reach spaces. This nose hair trimmer uses a micro-vacuum system with dual-edge cutting to provide a more comfortable nose, ear, and unwanted facial hair removal experience. This nose hair trimmer is guaranteed not to pull hair, and uses an advanced trimming system that shields the stainless steel blades from your skin. This nose hair trimmer uses innovative dual-edge blades to remove hair more comfortably and in less time, and can be used both wet or dry for added convenience.